Learn to harness your spiritual and mental energy to acquire the tools for survival and success in martial arts. In Mind Power: Secret Strategies for the Martial Arts, Kazumi Tabata, Grandmaster in the Shotokan and Shorinji styles of Karate, offers his personal teachings as to how martial arts students can reach the point where time seems to slow down, quick movements are seen in slow motion, and the full potential of one's inner power can be harnessed. Kazumi Tabata is a Grand Master in the Shotokan and Shorinji styles of Karate. He came to the United States in the 1960s, and shortly after his arrival, established and still serves as the Chief Instructor of the North American Karate Federation. 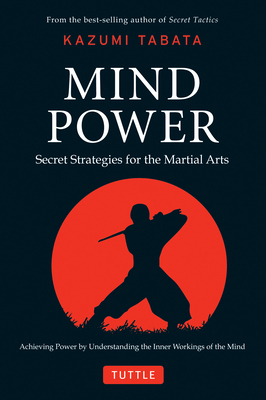 Master Tabata is the author of several books including Secret Tactics and Warrior Wisdom.